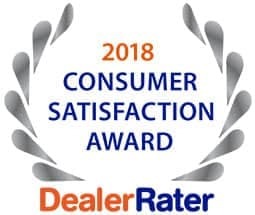 Moritz Chrysler Dodge Jeep Ram has won the prestigious Consumer Satisfaction Award for 2018 from DealerRater®! DealerRater® is a leading car dealer review site that has over four million reviews and an audience of over 32 million car shoppers each month. The Consumer Satisfaction Award is given to the top 10% of U.S. new car dealers based on their PowerScore™. We are so proud to have received this award, and are even prouder to be able to serve the Fort Worth, TX area with exemplary employees and outstanding customer service. We have been selling quality vehicles for more than 30 years in the Fort Worth area, and that longevity directly correlates to our dedication to meeting the needs of every individual that steps into our dealership. 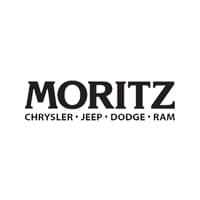 Integrity, transparency, and trust are the cornerstones of our dealership philosophy, and we invite you to experience that first hand with a comprehensive car-buying experience here at Moritz Chrysler Dodge Jeep Ram. With new vehicle specials, used vehicle specials, new car incentives, special money-saving programs, and an extensive new and used inventory, we can help you save time and money on your next vehicle purchase. Come down and visit us in Fort Worth, TX today to test drive the newest Dodge, Chrysler, Jeep, and Ram vehicles!